Hello, everyone! This week has been a bit of a crazy week (I finished an entire English course in two weeks!). Since I took my final on Friday, I've started to get into my summer groove. Expect more books and longer posts the more we get into summer as I plan on putting lots of time into crafting great content for all parts of the blog. I got to read two great books this week, and, as a look into next week, 10 Things I Can See From Here by Carrie Mac will defiantly make the list. Characters: 5 Flora lives in a small world. For most of the story, Flora's parents try to keep her contained to the house. She starts the story with Paige, her friend since before the amnesia, as one of the only other people in her life. Though they have a falling out after Flora's kiss with Drake, Paige makes an important comeback towards the end of the book. Drake and Paige and both important and interesting characters because they make the reader question, as they question it themselves, what the proper way to treat Flora is. They remind us that there is a fine line between treating Flora like a normal teenager and considering her situation. 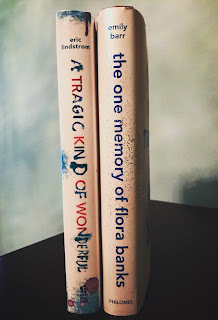 Leaning too strongly either way presents problems, but the main point becomes apparent that Flora is so vulnerable she is truly at the mercy of those around her. When she escapes to the Arctic, she finds herself a group of adults who observe Flora and take an interest in helping her on her mission. From the local shop owner to a travel blogger, Flora finds herself an unlikely support system while she really reaches the part of the book where she flourishes. Then there is her family. Her overprotective, overbearing mother with good intentions but poor results, her father who is conflicted between his wife's wishes and what he honestly sees as best, and her older brother who is taken from Flora's life for encouraging Flora to live life and be free. Jacob, though never actually appearing in the story becomes a strong motivator in many of the book's most important twists. Plot: 4.9 This story is told in three parts. First is the initial breakthrough followed directly by her parents departure to Paris leaving Flora to stew upon recent events. When her parent's don't come home as planned and she gains confidence in her self-sufficency Flora plans to visit Drake after exchanging a series of emails. Part two is where Flora blooms and flourishes on her own. Though she is chasing something the reader knows won't come through, the reader roots for her and nearly buys into her fantasy like the people in the tiny Arctic town. In the third part we see Flora's return home, back to her parents and her medication and her old life, or possibly a more extreme form. Writing: 5 At first the constant repetition of facts, as Barr faithfully records everything running through Flora's head, is a bit hard to get used to, but after the first chapter the reader really gets into Flora's mind. Her voice is crystal clear, and the reader starts to become one with Flora's mind and her fuzzy image of the world. We don't quite know what is going on at first, and we kind of float through the world clinging to the facts that we know. The reader gets to see the world through a completely innocent eye. And through doing this and separating the book into two parts, Emily Barr creates a remarkable phenomena. As the second part opens, we gradually see a wider sense of the world. It becomes clearer and the details are less fuzzy. We can see the internal growth and evolution of Flora in such a subtle way that makes the effects of the story all the more fascinating when the lens narrows again in the opening of part three. Barr also does a remarkable job of pulling on the readers emotions and taking full advantage of the unreliable narrator. 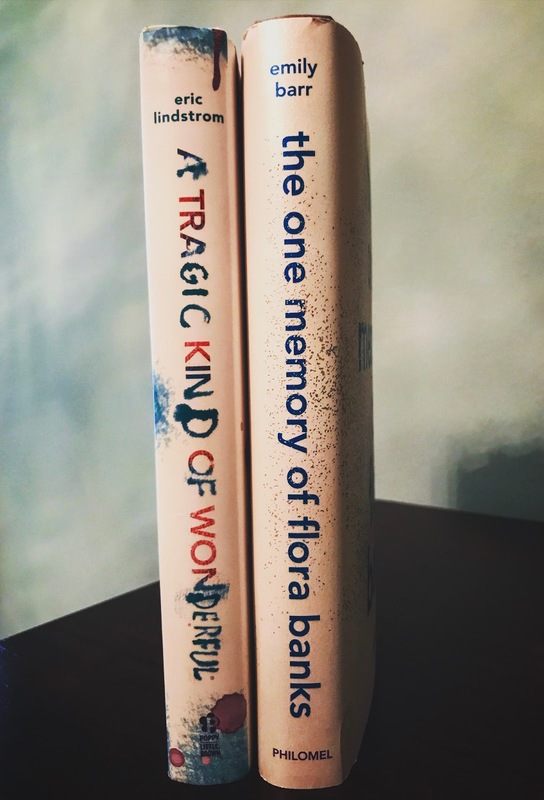 The reader can only believe what Flora believes and knows, but being separate from Flora, we are able to make further assumptions about people and how they relate to Flora. Barr uses this to her full advantage and crafts a remarkable story that cannot be adequately described. Characters: 4.9 I thought that Lindstrom did a great job crafting his, relatively large, cast of characters. There's her family that's composed of her father, mostly absent because of the divorce but still very much a caring figure in times of need, her mother, weary from the past but always wanting to help Mel, and Aunt Joan (or hurricane Joan) who counterbalances Mel's mother's overprotective nature by encouraging Mel to live life to the fullest. Mel also had a brother, Nolan, who died two years before the book opens and is a driving force in many of the character's actions. We also meet her friends (and ex friends) who are strong motivators for the plot. There are Zumi and Connor, her original friends who she drifts away from after a falling out with the group ring leader, Annie, and then her new friends from after her falling out and hospitalization, Holly and Declan. While Holly and Declan appear as a support system for Mel and a sign she is trying to move forward, they do not get developed like the other characters, but there are so many it is hard to complain. Connor and Zumi, though mainly Zumi, are given the most attention in development. The final group of characters are from the retirement home where Mel works. Mr. Terrance Knight, Dr. Jordan, and Ms. Li serve as a strong support system while she works through her issues with her friends. It is also there where she meets David, a boy her aged entirely removed from her past and present friendship troubles. Overall, Lindstrom is able to wind this large cast through Mel's eyes to make an even more complex and interesting story. Plot: 4.8 Mel presents the reader with the story of her life, which is most definitely interesting. She deals with regular issues among her friends while also dealing with, and trying to hide, her bipolar disorder. Seeing these dynamics work through the book, and seeing her ups and downs so plainly creating an interesting and informative book. Writing: 4.8 Lindstrom does a great job interweaving many characters and plots while staying on the mission of telling Mel's story. Having so many characters and plot lines, facets of her life, makes the story more realistic because everyone has many, unique parts to their life. His success in expressing this is, though, unique. I also thought that he did a great job of showing Mel's bipolar disorder and not letting it define her. It is a part of her life just like her past and her friends and her family. It is shown, expressed, and discussed but in a natural, normal, honest way that never strays to become awkward. I completely enjoyed reading this book. It was hard to put down and, overall, very impactful. Random Note: I absolutely am in love with this title. When I saw it on the shelf, I was sold before I even read the synopsis.